We love when network TV shows address breastfeeding and the trials of new motherhood. 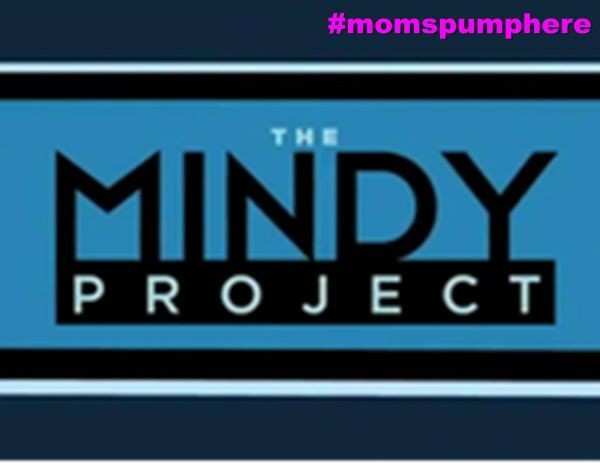 This week’s episode of “The Mindy Project” showcased the feeling many moms experience when they try to breastfeed their baby in public. Mindy Kaling’s main character, Dr. Mindy Lahiri, is breastfeeding her baby on the subway when a fellow straphanger tries to shame her. “No offense, ma’am, but there’s a time and place for that,” says the man. Dr. Lahiri defends herself, but then reacts to further shaming by covering up and then more passengers begin repeating, “Put them away!” and she exits the subway. The character of Dr. Lahiri later learns that the man who shamed her on the subway has been hired at her workplace while she was on maternity leave. In a comedic effort many breastfeeding women can appreciate, Dr. Lahiri accidentally shoots breast milk on her shamer/co-worker at the end of the episode. We moms are not surprised by the shaming but we are happy to see the topic being addressed on such mainstream television shows. We all work hard to normalize breastfeeding and the bigger our platform is from which we can share this topic, the easier our jobs are. Thank you to Mindy Kaling, to her TV show and to her network for helping us improve the way society handles breastfeeding in public.